Taller de Terreno welcomes Tara Wilson for a unique workshop that addresses movement + balance as they relate to all aspects of the ceramic process + studio practice, from making to firing and everything in between. Students will learn various throwing + hand building techniques to bring movement and gesture into the work. A variety of wood firing topics will be discussed, from surface treatments + stacking methods, to firing + cooling strategies. Each weekday afternoon the group will enjoy a one-hour activity, alternating between yoga led by a certified instructor, desert hikes + beach or pool breaks. Participants will discuss the relationships between bodies + pots, studio practice + moving meditation, and how to best balance a strenuous physical career with daily exercise. The stunning surroundings of tropical desert, Sierra de la Laguna Mountains and Pacific coastline beckon to be explored. 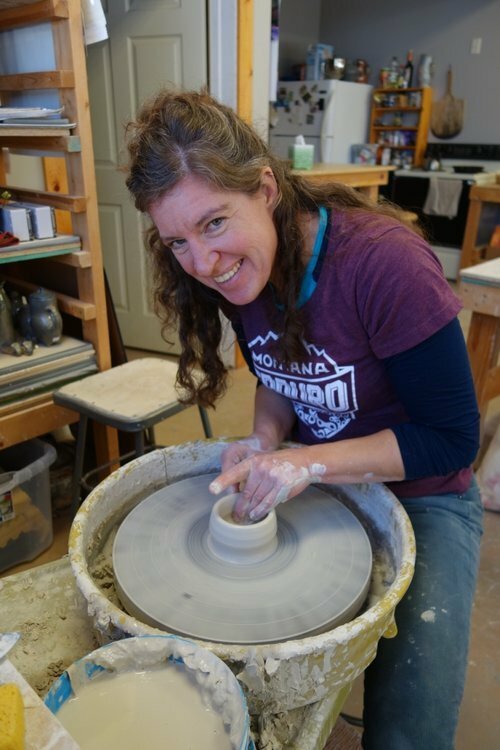 FACULTY: Tara Wilson set up her studio in Montana City, Montana in 2008 after finishing residencies at The Archie Bray Foundation and Red Lodge Clay Center. Wilson received a BFA from the University of Tennessee, Knoxville in 2000 and an MFA degree from the University of Florida in 2003. She has given lectures and workshops throughout the United States and her wood-fired utilitarian work has been exhibited internationally. When not working in the studio she can be often be found in the south hills on her mountain bike. She currently has a train and a catenary arch wood fire kiln, a heinz 57 beauty, a very needy mouser, as well as a few chookies. + self-contained casita including kitchen + living area, private bath, Queen bed: $3250.